Automotive retail is one of the most competitive consumer markets, with customers buying more vehicles than ever before in recent years. For dealers to succeed over the long term, they need to reconsider how they do business, or risk becoming obsolete to forward-thinking competitors. A shift in automotive retail is disrupting the industry. Although automakers and dealers have favored a short-term cycle in the past, customer expectations have changed, and dealerships that adapt will have a serious advantage. How customers purchase vehicles has evolved, they make fewer trips to the dealership, and they’re more informed. Many customers know the make, model, and features they want before they ever set foot in the showroom. As their competition intensifies, automotive dealers need to focus more than ever on a customer-centric approach. Building a relationship and brand experience with customers not only creates loyalty, it impacts revenue. The lifetime value of a customer depends on this, creating a sustainable strategy to drive growth and revenue. Many dealers are slow to adapt, or have yet to start implementing a change to their approach. But dealers that fail to do so put their business at risk. This shift has been occurring across most business-to-consumer (B2C) markets for the last few years. It isn’t a question of when or whether it will influence automotive retail, it’s already happening. The customer is now in the driver’s seat, and dealers need to adapt. Dealers that develop their strategy beyond sales and start paying attention to the customer experience will drive their business toward success. But for many dealers, there’s a misunderstanding as to how to go about optimizing for an automotive customer experience that would create the necessary change. A number of dealers are focusing on presentation, but influencing the customer experience requires a different mindset. It involves more than a fancy showroom, comfy chairs, or free coffee. Creating an automotive customer experience that earns loyalty and trust starts with management that understands, buys into, and implements this approach. A top-down approach to sales and the showroom is the only way to create an effective strategy. This type of change requires consistency, along with commitment. Improving the customer experience isn’t merely a “tip”—it requires a substantial realignment of automotive business and sales methods. Implementation requires training, so salespeople begin to appreciate what is required and why. More than a directive, it’s rewriting the rules and throwing out the playbook of the past, where the monthly sales cycle is everything. Dealers and automakers may see it affect their numbers in the beginning, and some will even revert to their old “tried and true” methods. Those that stick with the program, however, will be the ones that benefit from focusing on customer experience. Automakers that work with dealers to align objectives with such changes are investing in their future profitability at every level. A joint strategy toward revitalizing objectives, incentives, and KPIs is an essential component in making progress. The sale of a vehicle is the foundation of a relationship with a customer, who could return to the dealership a many times for service. Structuring that relationship starts with the sale, and today’s consumer expects more from the brand experience. As with any relationship, it has everything to do with likability. From proactive engagement to personalization, not every encounter results in a sale. It’s the salespeople that initiate and represent the dealer, and the high-pressure tactics of the past are less tolerated. The dealership needs to facilitate a smooth process, from sales to F&I, all the way to delivery. Studies have revealed that more than 80% of consumers dislike the process of purchasing a vehicle at a dealership, and at least 60% feel they were taken advantage of during the process. With more consumers expressing interest in buying cars online, the traditional car-buying experience is in need of change. In a CarGurus study, some of the top complaints about dealerships included poor manners, wasted time, lack of response, and bait-and-switch tactics. The study doesn’t specify the origins of these complaints, but it’s safe to assume that the sales department could be a factor. Although many dealers regard lead volume and conversions at the top of their priorities, when the customer experience becomes part of the equation, it can reduce the time it takes a consumer to make a decision in the vehicle-purchase journey. After their initial contact with a dealer, provided there is a clear understanding of the customers’ needs, the salesperson’s product knowledge and assistance move the consumer toward the sale. According to J.D. 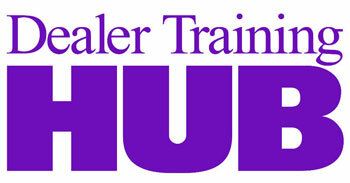 Power, 74% of car buyers will drive 20 miles or more to receive what they perceive to be a great dealership experience. Within most cities and populated urban areas, there are multiple competitors within a 20-mile radius. If a make/model has been decided on, there usually isn’t a significant difference in price between most dealers. It’s the customer experience that is often the deciding factor for who will win the business. People buy from people they like, and without a referral, a dealer relies on its online reputation, which is also built on customer experience. The customer experience influences likability, which has everything to do with trust and building the initial relationship. Although there’s always a clear need for standards like objection handling, closing, and similar, the automotive retail process is being disrupted by consumers, with the customer experience being at the center. Mark Nicholson is the director of marketing at Absolute Results, an automotive sales training and event solution that helps dealers sell more cars. We increase sales results by 30% to 50% on average. Our training teaches dealers how to activate, elevate, and engage, enabling them to sell one to two weeks’ sales volume at just one event. Your salespeople learn new skills, and the ones that adhere to the training often become top performers. To learn more, visit www.absoluteresults.com.